Holidays in Santorini and Crete - it is so easy to get from Crete to Santorini and start your island-hopping holiday in the Cyclades. 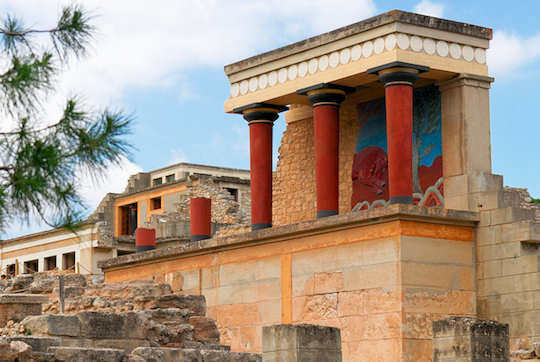 We suggest that visitors fly from Athens to Crete, via either Chania or Heraklion airport, then after visiting Crete, take the ferry onwards to Santorini from Heraklion. The ferry takes only 2 hours in the high season, you can be in Santorini by lunchtime. Holidays in Santorini and Crete - deep blue seas and bright white curves. Clarity and sheer ecstacy. Santorini is a once-in-a-lifetime experience. Holidays in Santorini and Crete - Crete is a large island 260 by 60 km with four capital towns, three mountain ranges and hundreds of beaches. The unending layers of history go back to the birth of civilisation in Europe. 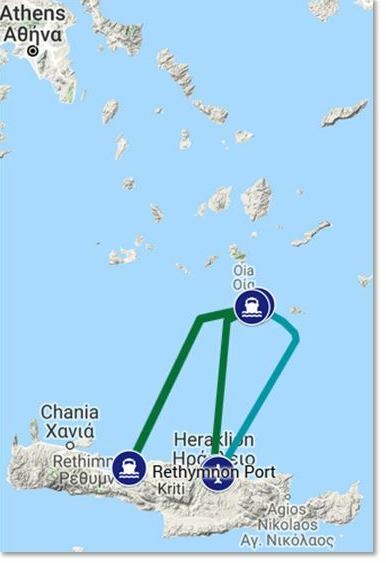 Holidays in Santorini and Crete - ferries leave from Rethymnon and Heraklion in Crete in summer to cross to Santorini (known as Thira). Different ferry companies sail on these routes and they all have slightly different boats. So your crossing time can be different, depending on the type of boat and the time of year. Super fast ferries generally run in the high season. Weather Warning. The sea has the final word on all sailings. Ferries can be cancelled due to dangerous weather conditions. Always check with your ferry company, via your hotel or by phone or online, one day prior to sailing. 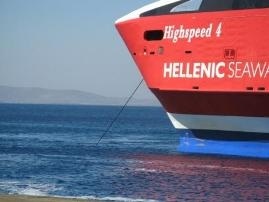 Be ready for cancellations and changes in plans; be flexible when travelling the Greek Islands by ferry. Holidays in Santorini and Crete - fly from Heraklion Airport (code HER) or Chania Airport (code CHQ) with Olympic or Aegean Airlines to Santorini Airport (code JTR), with a flight duration of 4 hours or more, as the flight goes via Athens. With a good connecting flight you can be in Santorini by lunchtime. In summer season you can also fly from the regional airport of Sitia (code JSH) with a flight time of around 3 hours. No direct flights, these also go via Athens. The small regional airlines Sky Express or Ellinair may have direct flights from Heraklion to Santorini, depending on the time of year, and the flight time is only 35 minutes. Holidays in Santorini and Crete - we suggest these budget and mid-range studios and hotels at these beaches in Heraklion and Rethymnon, where you could choose to stay prior to getting your ferry over to Santorini. Ammoudara Beach - this beach is lined with hotels and resorts, with some of the best five star resorts in Crete, for an affordable stay just 100 m back from the beach on a local road, choose Georgia Hotel which is small and run with friendly hospitality by a local family. 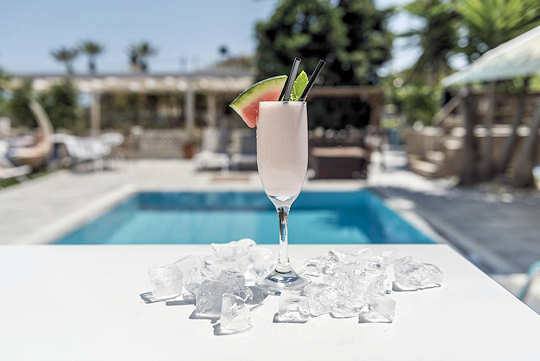 The Veneziano Boutique Hotel in Heraklion makes a change from the ultra modern hotels in the vicinity with its beautifully restored noble home. 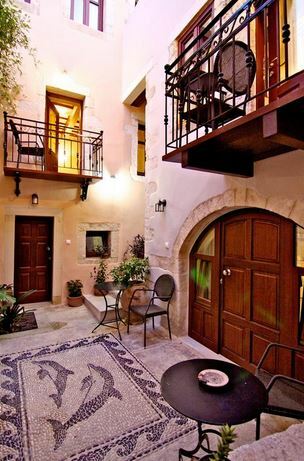 Tucked away in a side street yet close to everything, this is a really comfortable way to see Heraklion. Just a short taxi ride from your ferry port. 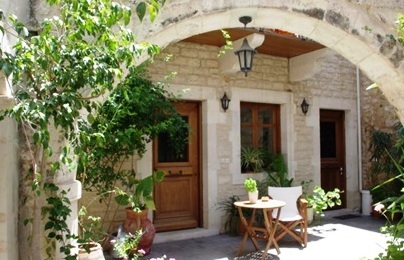 In the Old Town of Rethymnon you will find the Casa dei Delfini centrally located near to restaurants and bars, yet quiet and private. Soak up the history of the stone walls and be close to the ferry port for your departure to Santorini. Uncover the Venetian history of Rethymnon, see the tiny Rimondi Fountain on the north end of Petichaki Square, the Venetian Loggia and the tight little Venetian harbour, all on your doorstep. 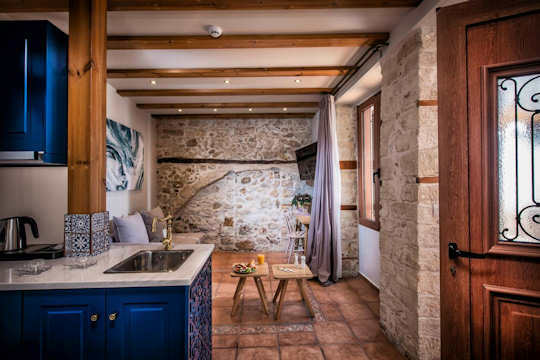 Also within the walls of the Old Town of Rethymnon, you wil find comfort at Casa Moazzo, a restored Venetian home converted into 10 stylish suites. Centrally located just around the corner from the Guora Gate and nestled in the tiny narrow streets filled with history. 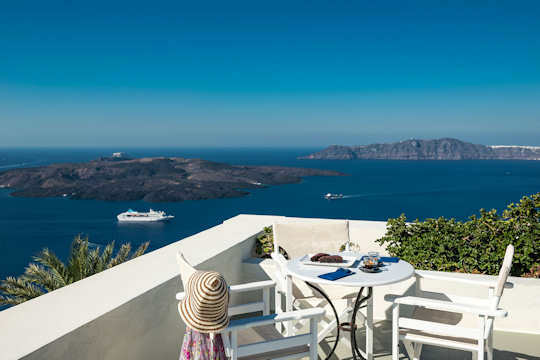 In Santorini we suggest the following mid- to high range accommodation to truly enjoy the magnificence of the views from the caldera and experience the unique cave hotels. Choose the Perivolas Cave Suites to get an inkling of what life might have been like living in a 300 year old cave on Santorini. Well, the comparison stops there, because it is one of the most stylish caves you will ever have the pleasure to sleep in. And then the views in the morning! 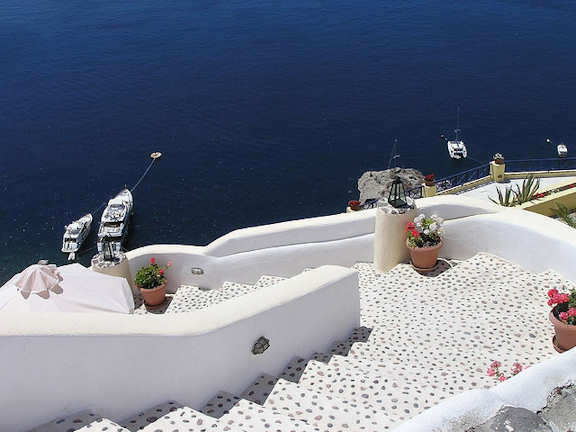 Located in Oia, in the north of the island, right on the edge of the caldera. 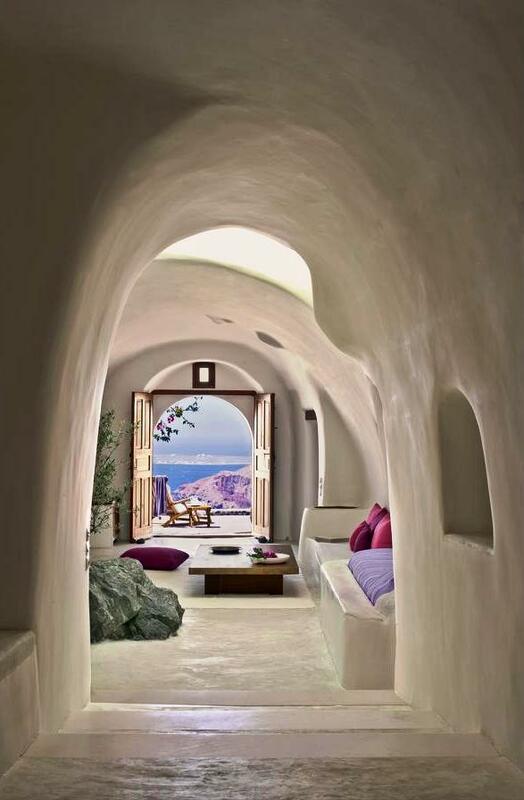 The crisp white and blue of the architecture of Santorini is beautifully exemplified by Pantelia Suites. Enjoy art all around you whilst relaxing with exquisite views. Centrally located in Fira, perfectly positioned for shopping and dining. Holidays in Santorini and Crete - highlights of Crete and the magical island of Santorini - see the best the region has to offer. 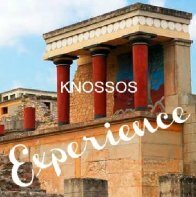 Take a full day tour of Knossos Minoan Archaeological Site and Museum, experience history coming alive at the partially restored centre of Minoan Crete, hear from your talented guide and see the town of Heraklion. Take a full day tour to see one of the wildest gorges in Crete, Samaria Gorge certainly one of the longest. This experience is not for the faint-hearted or unfit. This is a 16 km one-way walk ending on the shores of the sea on the southern coast of Crete, which means a ferry and coach ride back to where you started. A long day full of dramatic scenery in the heart of Crete. 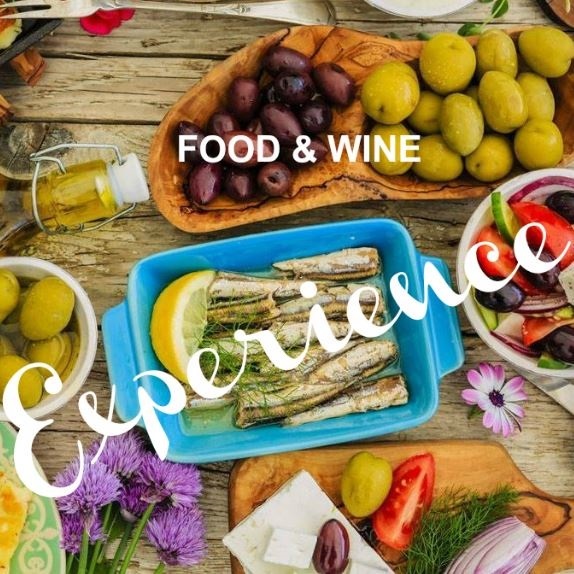 In Santorini, take a Small Group Cooking Class to experience the local delicacies. An experienced sommelier and an experienced chef will assist you to make a delicious lunch, to be enjoyed immediately! Kali orexi! Καλή όρεξη! A 6 hour gastronomic experience. The wines of Santorini are unique, with many of the vines growing in volcanic soil, in a micro climate found only on the island. 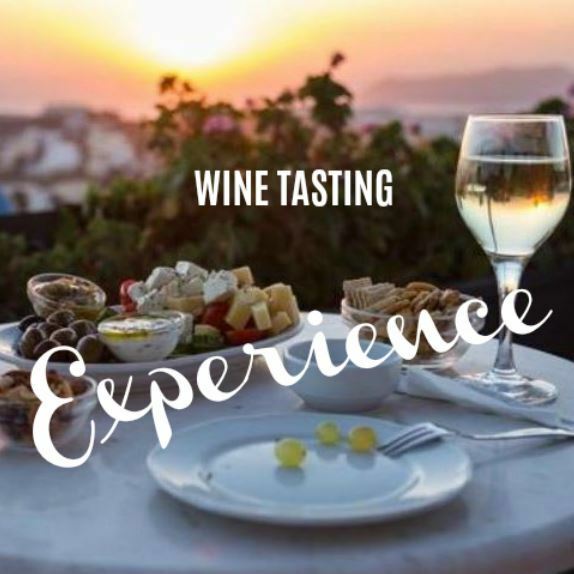 Enjoy a Wine Tasting Experience to sample and learn about the wonderful local vines, grapes, cellars and wines. A 4-5 hour gourmet experience. Holidays in Santorini and Crete - see the location of ports in Crete and the airports in Crete and Santorini, for travel to and from these islands, on the interactive map below.